We invite you to visit our post when you are in the area. Click on the map below to get detailed driving instructions. The Board of Directors and the Executive Board meet at 7:30 P.M. on the 1st Monday of the month. 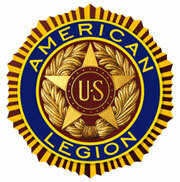 The Home Association meeting is at 7:30 P.M. on the 2nd Monday of the month, and is followed imediately by the Legion meeting.